You can view your payments and subscriptions history from within your settings panel. 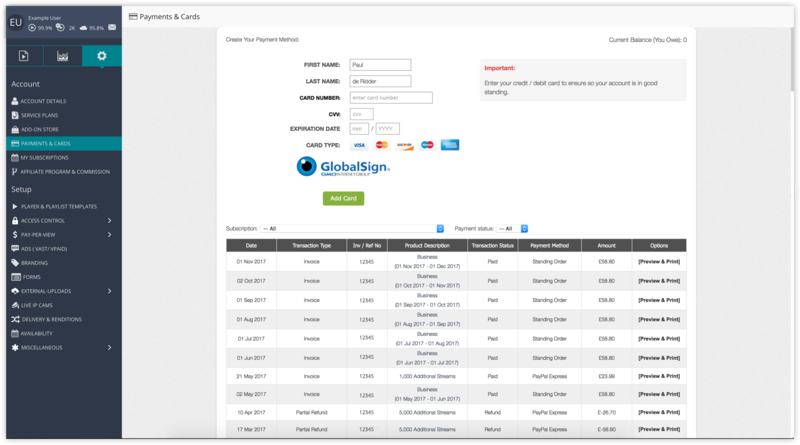 Here you will be able to see transaction details, statuses as well as preview and print invoices. You can view your Payment History by going to ⚙️ Settings > 💳 Payments & Cards. Here you will see a list of all your current and past transactions. Product Description: Which product it relates to. Transaction Status: If the invoice is paid.